RIO DE JANEIRO (AP) — Throw away the floor fans. 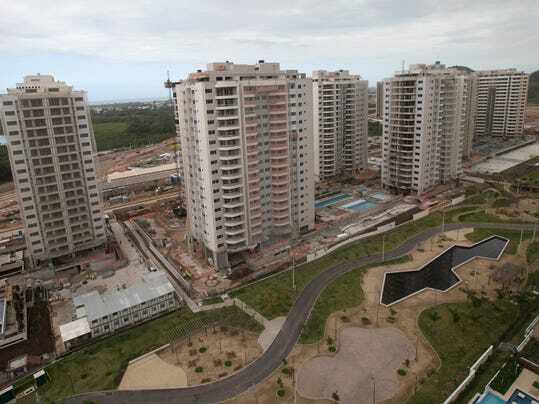 Rio de Janeiro Olympic organizers have changed their minds and said Friday that athletes will have free air conditioning in their bedrooms at the athletes village. The decision to have free air conditioning comes after The Associated Press reported this week that about 10,000 Olympic athletes would have to pay for it because of budget cuts. Rio organizers are making severe cuts to try to balance their operating budget of 7.4 billion reals ($1.9 billion). Andrada said they are cutting “fat” that could reach 2 billion reals ($520 million), which is almost 30 percent of the operating budget. Andrada termed the reversal “an evolution and not a change” in planning for the Olympics, which run Aug. 5-21. The decision will be welcomed, and it’s apparently a surprise to many.